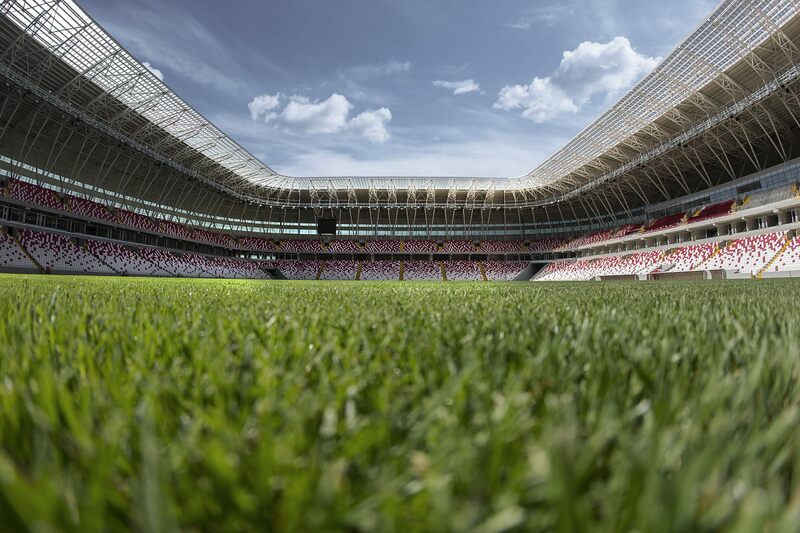 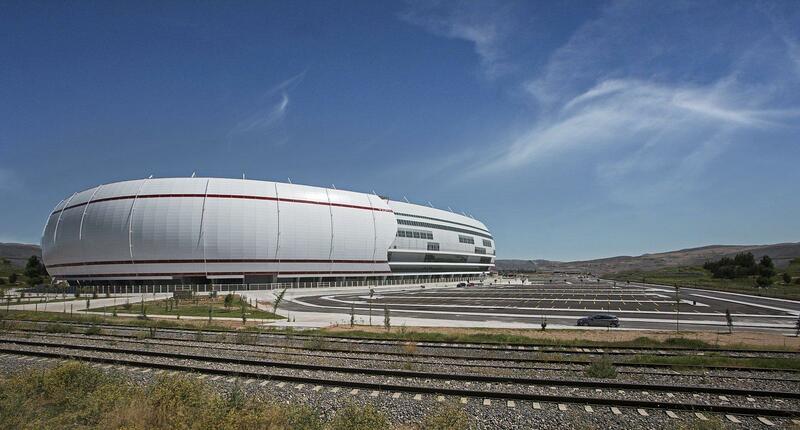 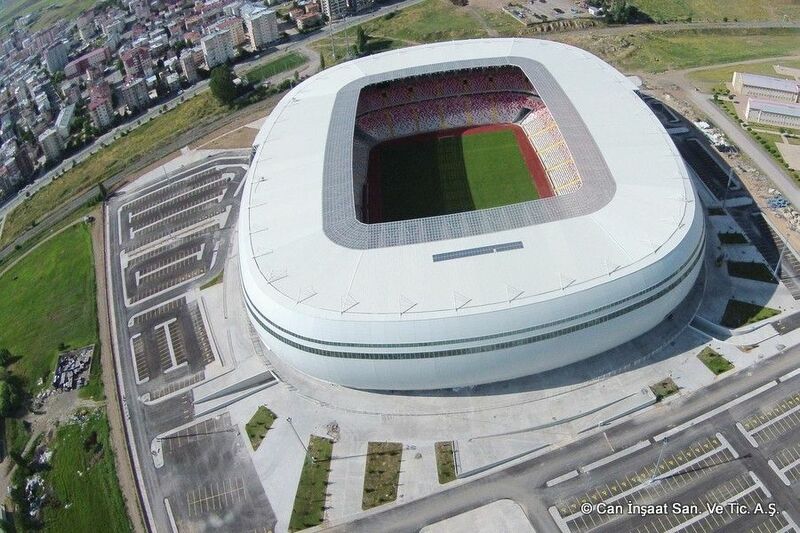 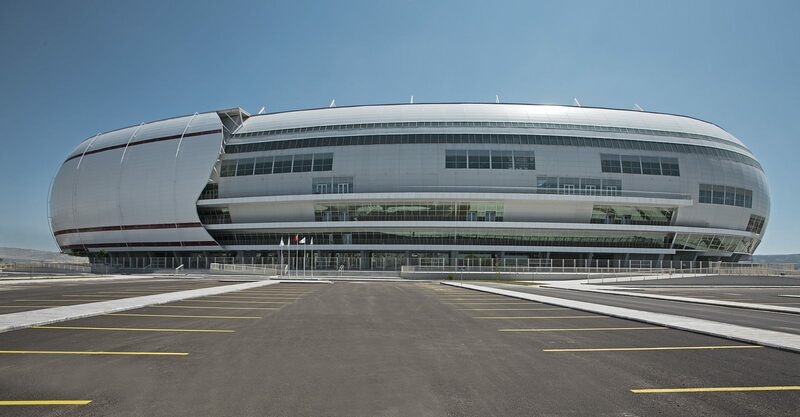 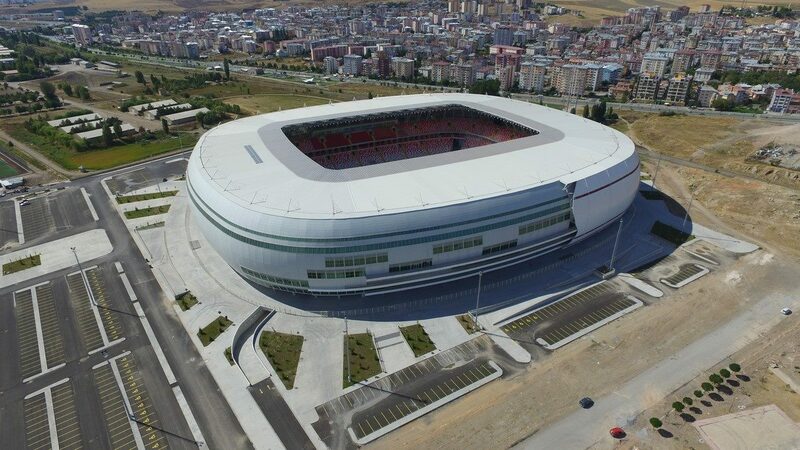 Though supporters of Sivasspor commonly refer to it as the “new September 4 Stadium”, this modern stadium has nothing in common with good old 4 Eylül Stadyumu 2km further into the center of Sivas. 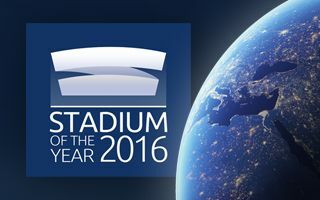 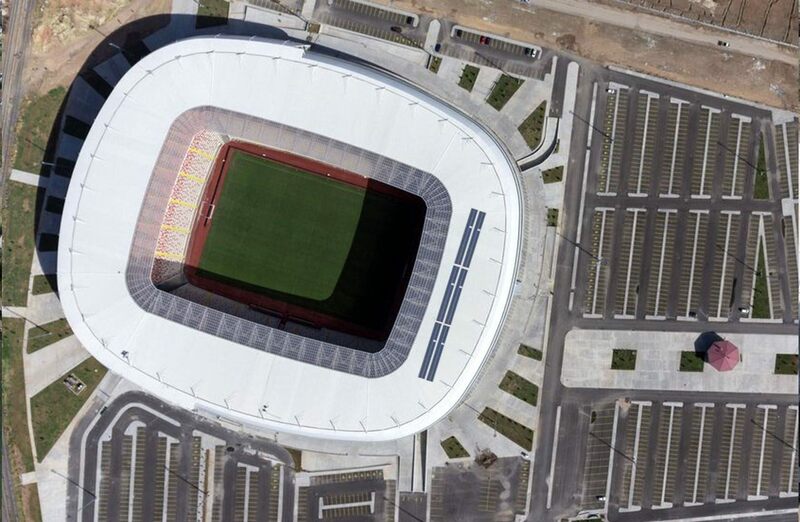 The new stadium was built in south-western part of the city, on over 130,000 m2 of space for both the stadium and adjacent parking. 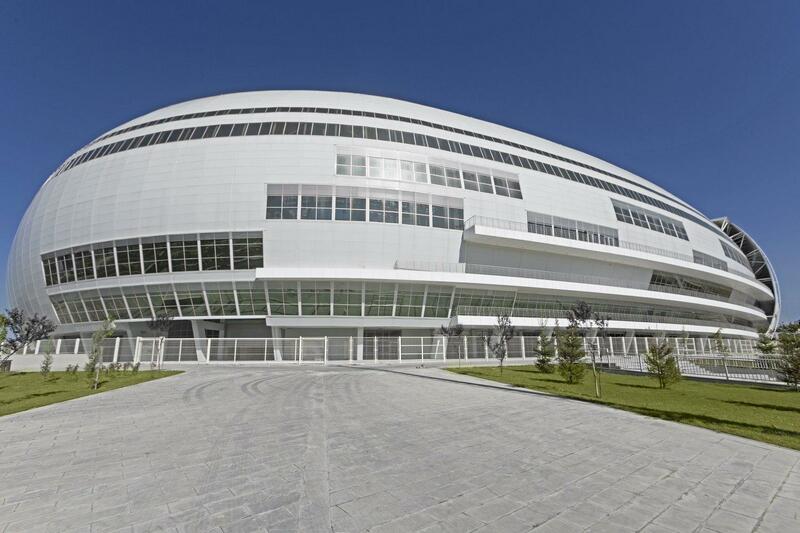 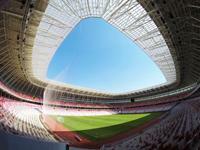 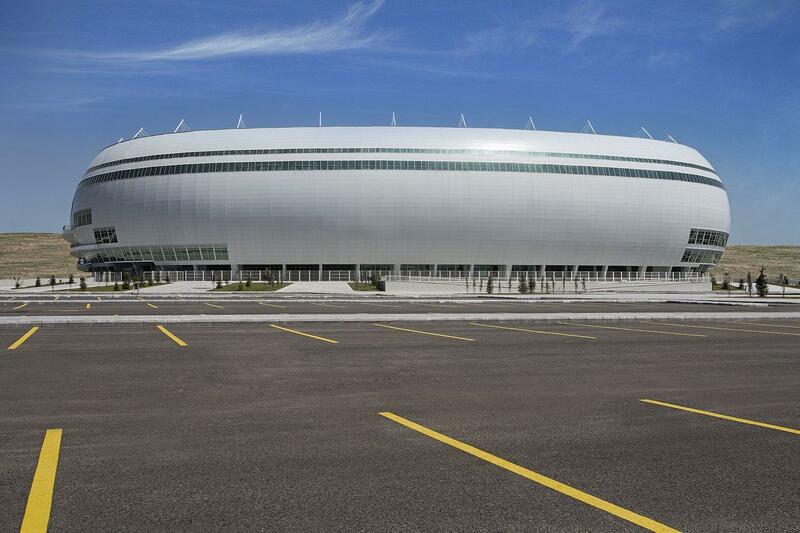 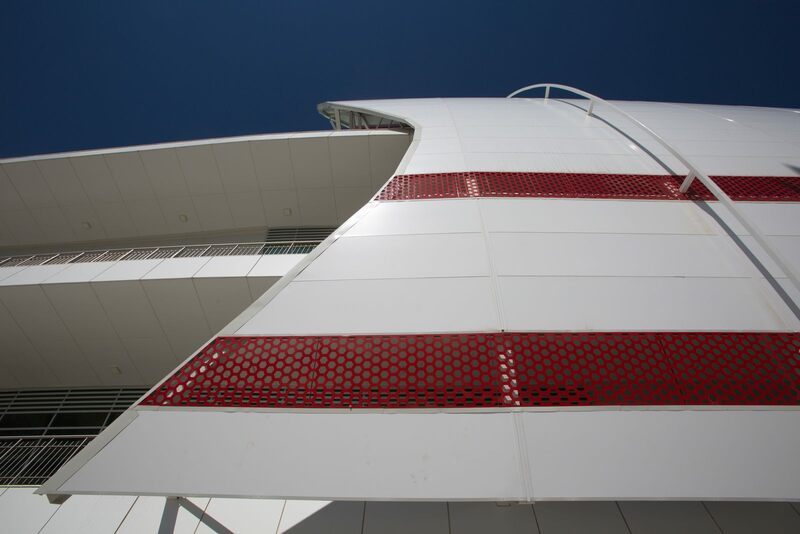 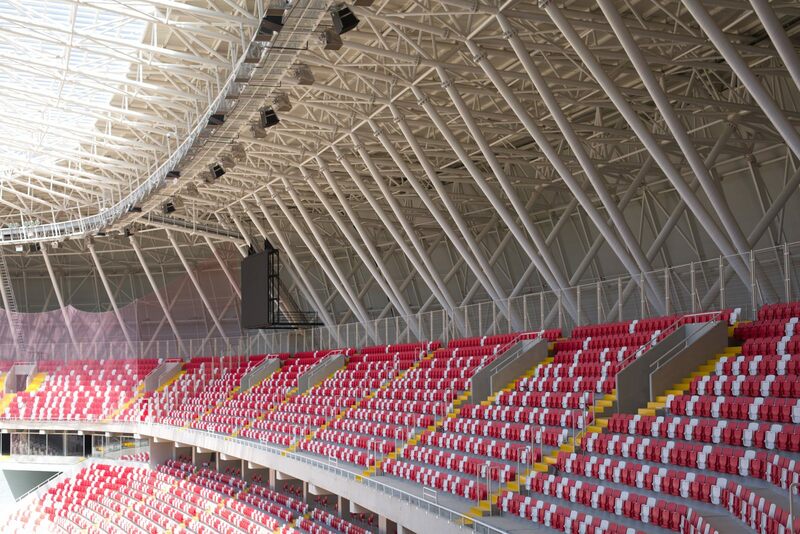 The stadium’s concept was created by Bahadir Kul Architecture, who focused on making the stadium climate-proof. 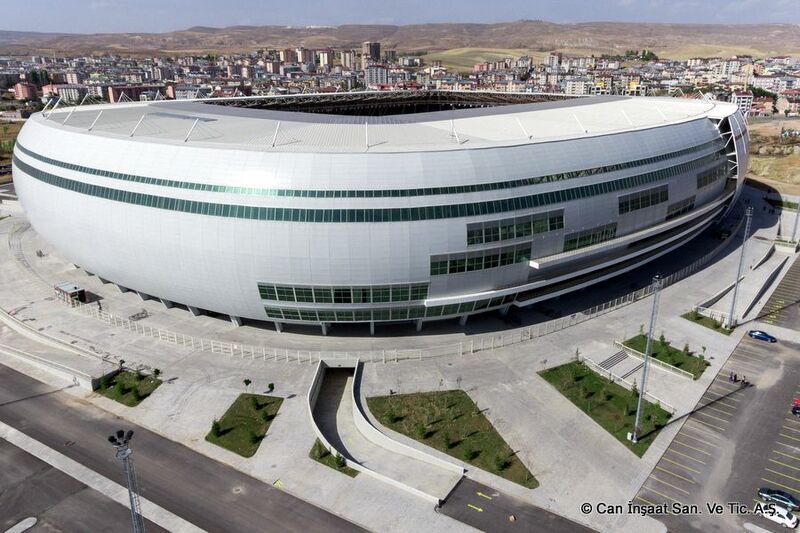 Sivas is considerably cold, dry and windy, thus the fully opaque outer skin that reduces impact of cold northern wind. 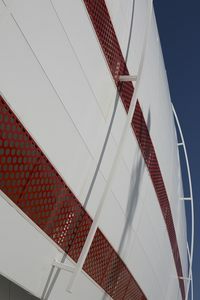 In fact the north side has double skin with air cushion between them used as insulation. 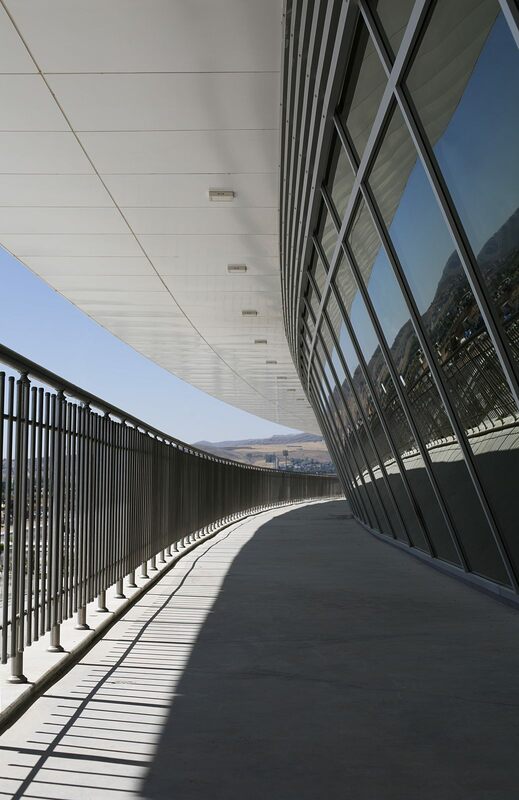 In the summer perforations are opened between both layers, allowing warm air to circulate. 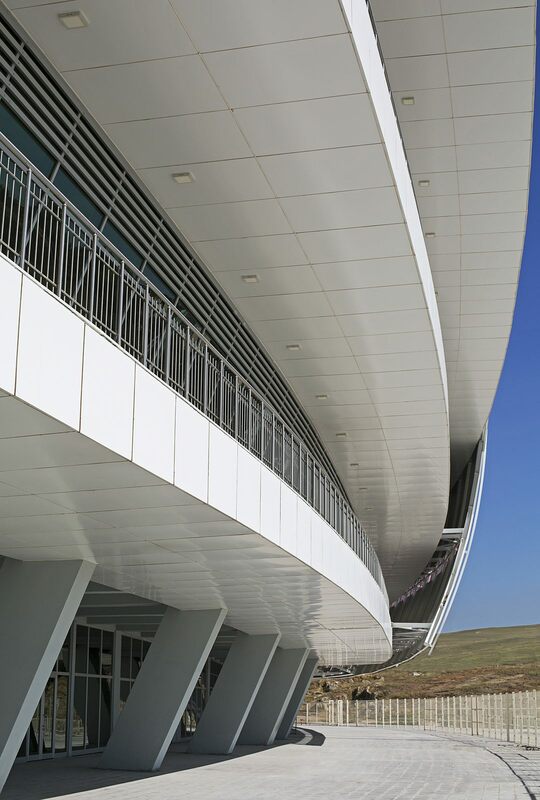 This way temperature and ventilation are controlled to certain extent. Along the east and west sides the stadium has significant glazing to provide sunlight access and raise temperature inside the stadium, also reducing heating cost. 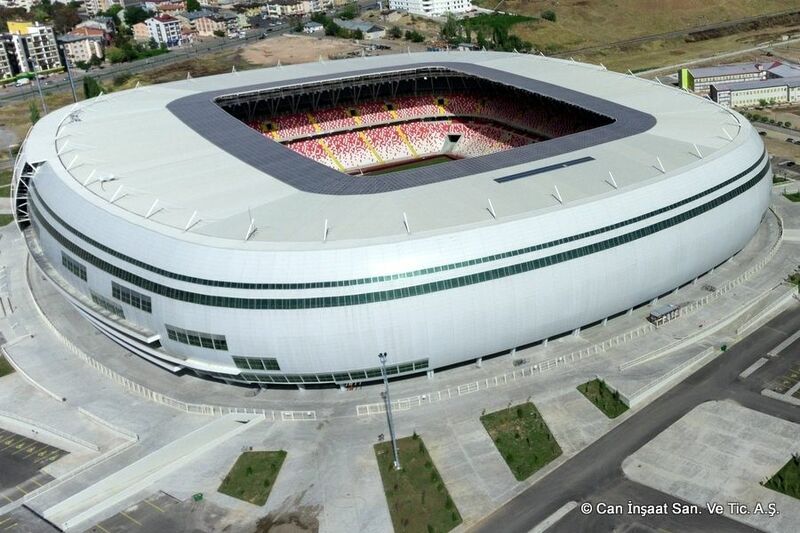 The southern part of Sivas Arena’s roof has photovoltaic panels installed, expected to produce 798 kW of clean energy daily, equivalent to the consumption of some 160 houses. 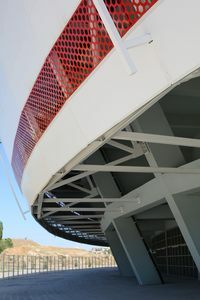 Additionally, the roof collect rainwater and snow for use within the stadium. 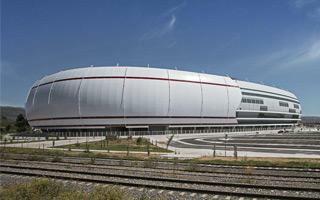 The seating capacity was initially set at 27,000+ but the upper level has some space available for expansion. 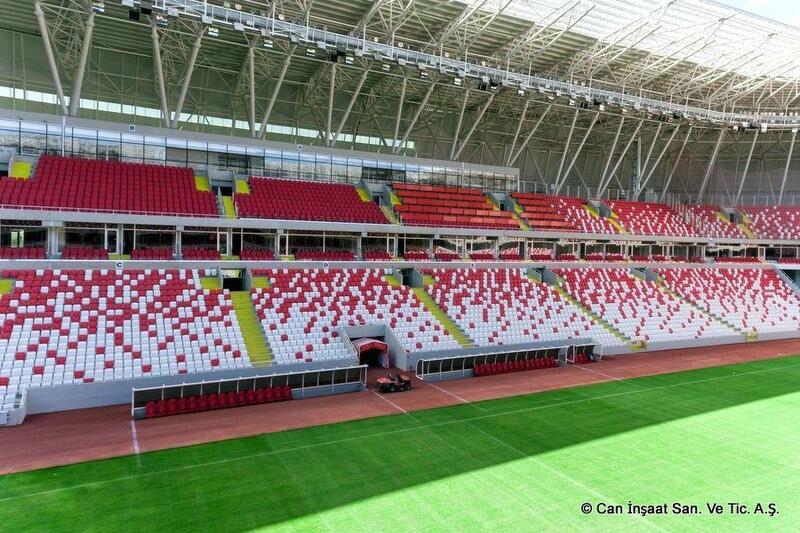 Along initial concept, up to 6 rows could be added, putting the venue well above 30,000. 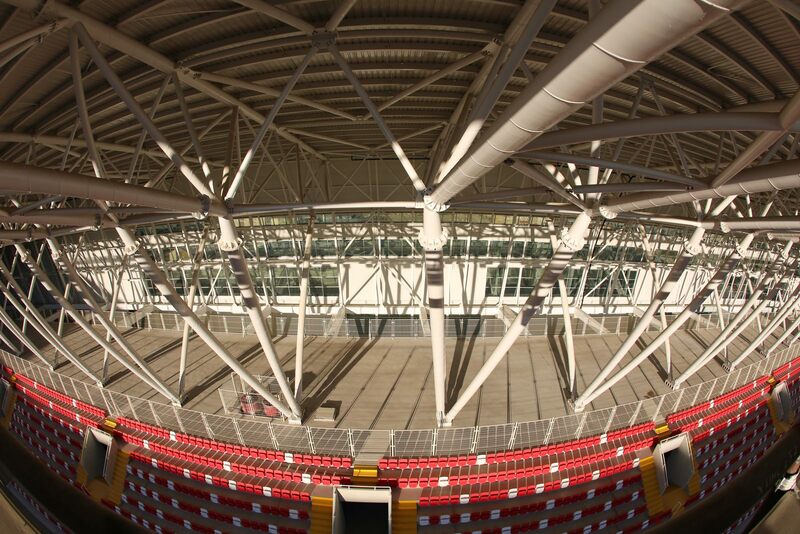 However amended roof structure reduced the amount of room. 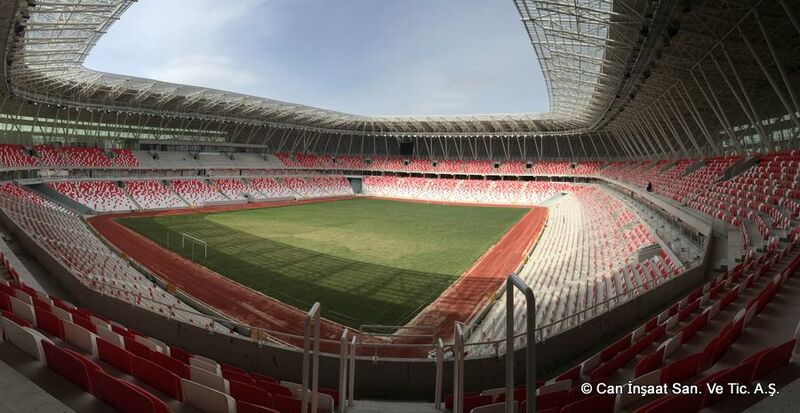 Complete floor space of the stadium is 58,700 m2 spread across 5 floors, one below ground level and four above it. 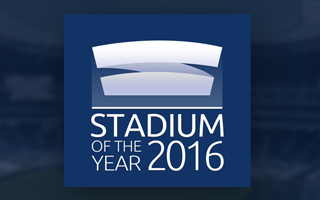 Seeing the extent of works it can be said that the stadium’s price was low. 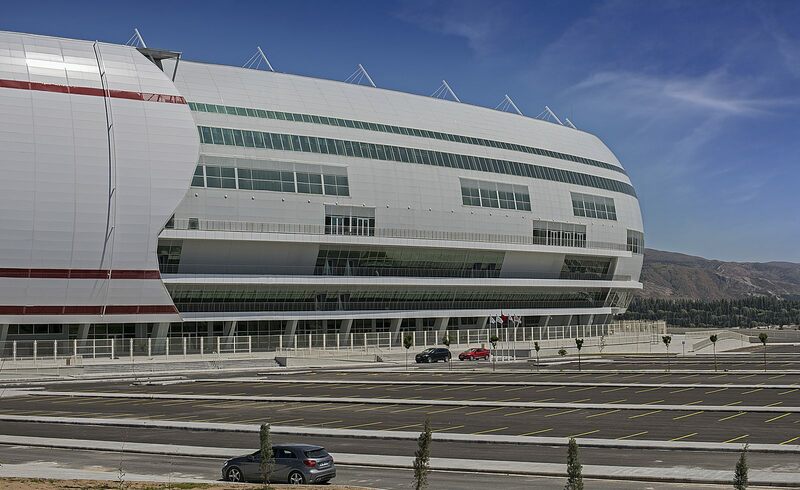 It was contracted for TRY 82 million. 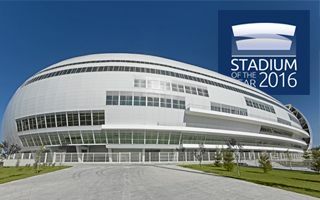 Unfortunately construction took much longer than expected, lasting well over 1,100 days, a year behind the initial 800-day deadline.